They say if you cross the border into the magical land of Faerie, you will never return. Who knows what happens in that wretched place? But Princess Sophia has lost control of her pony and is galloping blinding towards the strange lands, so she is about to find out. What are the strange noises high up in the trees? Who is the mysterious creature following them in the darkness? And how will they ever escape? 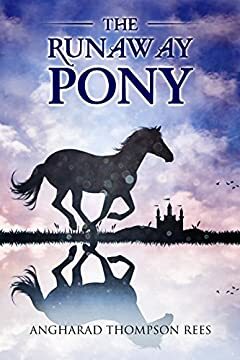 Princess Sophia and her runaway pony have no option but to trust each other as they follow the challenges set them. But will they succeed and return safely to the castle or will they be lost to the strange lands, forever?